Many of you may not be aware, but Saturday March 1st begins National Athletic Training Month. The National Athletic Training Association(NATA) uses this time to further publicize the athletic training profession. Since, the month hasn’t actually started, I will give you he prequel to my career choice as an athletic trainer. 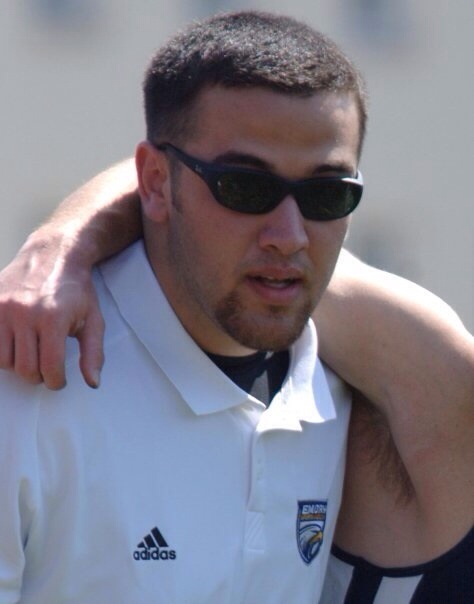 The seed of athletic training was planted during my freshmen year in high school. I was a skinny 6’4″ 14 year old kid trying out for the high school basketball team. I had just found out I had been selected to be on the 9th grade basketball team and I was the kid I now treat, hurting myself not playing my sport. I injured my ankle playing touch football in the dark, and stepped in a hole. The next 2 weeks, which were the first two weeks of practice, was spent knee deep in an ice bucket and limping around. I had no one leading me in the right direction for rehab and treatment. Still to this day, that ankle is terribly unstable and I call it my tissue paper ankle. This feeling of missing out on practice began to the process to becoming an athletic trainer. At the time I didn’t know what an athletic trainer was but I knew I wanted to stay in sports and help people. I continued onto my not so glorious high school basketball career safely with minimal injury issues. The next memorable time that I think lead me to Athletic Training was when my dad asked me what I wanted to do. My respone? I don’t want to be in a 9 to 5 job at a desk. In my head, this sounded miserable. By this time, I had an idea what an athletic trainer was but I look back now and I wanted to help athletes perform at their highest level. As I began to do more research and watched what the outreach athletic trainer who came to our school was doing, I realized the medical side of sports performance interested me more. With research and a few campus visits, I decided that Valdosta State University was where I wanted to complete my education and preparation to become an athletic trainer. I think if you truly love your job, you’ll never truly work a day in your life. I also think that moments in our life can lead us to doing something we love, its just about finding it and reaching for it. Do you have that moment where you learned what you wanted to do for the rest of your life? Every guys favorite workouts involve the the show muscles, or your chest, biceps and abs. These muscles are the ones that we think get the girls. This may be true if you are attempting to try to date Snookie from Jersey Shore. What a lot of people, especially males fail to realize is focusing on one set of muscles or one side of the body will lead to injury, imbalance, and terrible posture. For peak physical fitness we should be focusing on a balance in our bodies and total strength or else we end up looking like a a gorilla with terrible posture who drags his knuckles on the ground. To achieve this balance I actually recommend and implement in my own workouts a 2:1 ratio of posterior to anterior upper body work. The average human being is already very anteriorly dominant in their upper body through our daily activities so when we train we should compensate and train the posterior upper body area, or upper back and posterior shoulder, twice as much as the anterior upper body. Also, in my experience, athletes with a stronger upper back and scapular stabilizers will have greater pressing strength as well as greater overall strength. The best way to break down upper body movement is again with the pressing and pulling description. Upper body movement can also be further broken down into vertical pressing and pulling and horizontal pressing and pulling. Primary example of horizontal pressing is bench press but I have begun to move toward push-ups as nothing we do is ever laying on our backs with our core more than likely disengaged. Push-ups require some activation of the core to help stabilize the hips in a neutral position, therefore getting more bang for your buck. Vertical pressing would be described as military or overhead press. With vertical pressing, I recommend that NO ONE does behind the neck presses. This loaded position puts the shoulder in a dangerous position and puts a lot of strain on the anterior capsule of the shoulder. The 90 degrees of shoulder abduction and 90 degrees of external rotation is the primary position that shoulder subluxation and dislocations occur. Pulling exercises can be broken up into horizontal and vertical as well. Horizontal pulling would be your rowing exercises. There are so many variations of rows that you can be creative with. Dumbbell/barbell rows and machine rows obviously use weighted objects. I have recently become more of a fan of bodyweight rows whether they be horizontal body rows or TRX/Ring rows. The bodyweight rows require core stabilization to keep the body in line and make you much more aware of your body’s positioning. Vertical pulling would be best described as the pull-up. 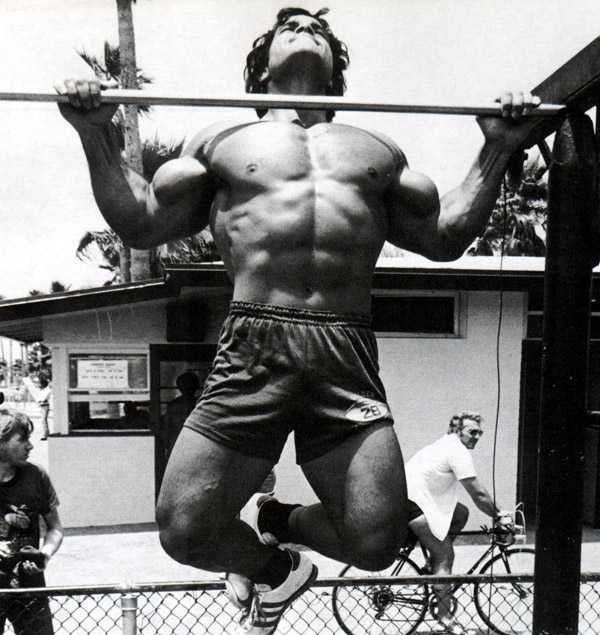 Now not everyone has the upper body strength to complete a pull-up, so this is where the pulldown comes into play. The best way to vary these are through hand positioning; wide vs. close grip, neutral vs. pronated vs. supinated grip. Each variation will change the muscular focus but still stress the upper back, biceps and forearms in some way. A quick note on programming before I close this series of posts. There is always the question of how to split your workouts up. There is what you will see many bodybuilders doings and that is the body part split or the muscle focus over the movement focus. I personally prefer a 4-day a week lift schedule with it looking something similar to this. With upper body workout days I usually pair differing planes such as vertical press with horizontal rows as the emphasis but that doesn’t mean I won’t be doing some sort of pull-ups. I have found the pull-up to be the greatest sign of total upper body strength so I try to implement them as much as possible. Please feel free to give variations of some of the exercises I have mentioned! I am always looking for new ways to tweak my workouts for a different challenge. Thanks for supporting the blog so far and I hope to hear from some of you soon! Lower body strength and quality of movement has a greater effect on fitness, athletic performance, and every day life. Lower body strength allows you to create a greater ground reaction force, or the force that we place into the ground to jump, run, and even walk. Studies have shown that increase in squat strength can lead to up to a 10% increase in vertical jump height and sprint speed. Greater lower body strength will also allow you to better express upper body strength while on your feet, because nothing we do functionally or athletically requires us laying on our back or sitting in a chair. Also, aesthetically it helps us look better, ever seen that guy who looks like he only works his upper body?? I like to break my lower body exercises into two separate actions, pushing and pulling. 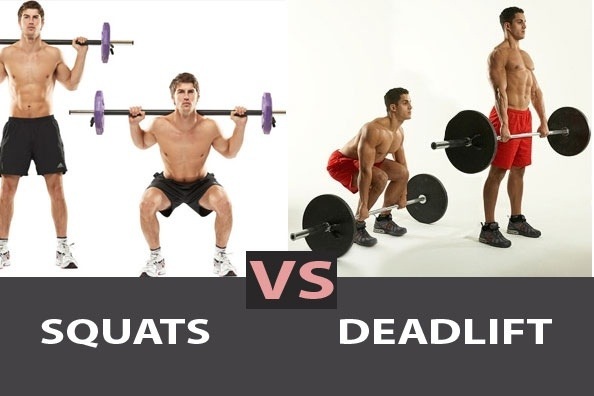 Squatting exercises would fall into the pressing categories and deadlift varieties would fall into the pulling categories. Lower body exercises could also be grouped into knee dominant(squatting) and hip dominant or hip hinge(deadlift) . These movements are apart of all aspects of daily activities such as picking up and moving heavy furniture(pulling) to jumping to grab a rebound (pressing). Now traditional squats and deadlifts are not the only way to train these movements. To training the “pressing movements”, I include single leg squats and all types of lunges into my training. Using single leg exercises, help with creating balance and do not allow one side to take most of the load. Single leg exercises also help in training proprioception(balance). For the pulling movements, I implement Romanian Deadlifts(can also be done single leg), KB swings, and Hip Thrusts. If you have not seen or done a hip thrust, it has recently become on of my favorite exercises to hit my glutes. 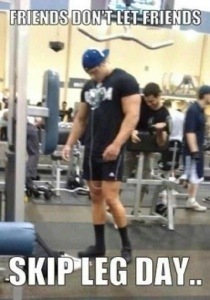 It has also help bring my deadlift along. Below is a link to a video of the hip thrust which you may think looks like a weighted bridge. If you notice, many of the exercises I mentioned are standing up and not in machines. I will leave the reasoning behind this for another day. Please feel free to share your thoughts on lower body training. Also, if you have any questions about form or variations please feel free to comment below. Getting bigger muscles, getting stronger, or being more fit are all goals that people interested in fitness strive for and each person has their belief on the best way to achieve those goals. In my early years of working out, or my college (ignorant) years, I thought that doing set after set and variation after variation of exercises were the way to get bigger and stronger. After falling into the trap of Monday being chest day, Tuesday being back day, and so on and so on, I finally saw that I was not getting stronger. During my time at Austin Peay, I finally changed my training philosophy and saw greater gains in both size and strength. I moved to a more movement based training than training specific muscles and began to feel stronger and more functional. A lot of the aches and pains that I was getting from training each body part specifically began to decrease and my posture also became better. -Due to greater muscle mass being stress, a greater calorie expenditure occurs. -Improve coordination and help limit imbalances. 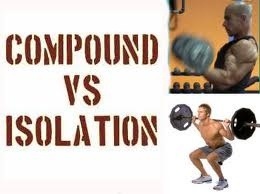 The benefits are numerous when comparing compound vs. isolation lifts. Isolation exercises can be helpful in building muscle mass or can even help bring up lagging muscles (think prehabilitation exercises) but should not be the primary component of your workouts. The timing within your workouts is also very important. Compound exercises should be done first allowing for greater loads during these lifts. Isolation exercises should be placed at the end of the workout. As I am currently iced in due to Winter Storm Pax, continue to look out for Part 2 which will discuss Lower Body Movement and conclude with Part 3 which will go into Upper Body Movement. Crossfit is the current fitness flavor of the month, much like p90x was a couple years ago. There seem to be two types of people in this world in terms of opinions on Crossfit, the cult-like followers and the people who find every chance to bash it. I would have to say that I am more towards the side of the people who bash it. In this post I will try to take both sides of the spectrum and show explain what I like about Crossfit and what I do not like about Crossfit. Let’s start with the good of Crossfit. I must say that Crossfit has helped start a return back to the nitty gritty of weight lifting. People are beginning to move away from the Smith Machines and are using power racks for what they were initially intended for, Squatting. They have brought about a resurgence in the barbell, as well as making Kettlebell usage more mainstream. If you have never been to a “Box”, as the CF’ers love to call their gyms which are basically garages, you will see people power cleaning, snatching, deadlifting, and squatting. All exercises that are used to build real strength and power. CF also implements farmers walk, pull-ups and other everyday functional activites. About 7 months ago, I used a groupon that my pregnant wife had bought for herself that allowed for 10 workouts at a local Crossfit gym. I figured I didn’t think she should be doing these workouts so why not try it out. The part that I think gets people sucked into Crossfit is the atmosphere. It was high energy and high intensity. Most of the workouts are in a “class” format so you are sweating and working elbow to elbow with another person. You are pushing each other and inside pushing to be the first to finish (at least the competitor inside myself wanted to finish first). Now on to the problems I see as a medical professional and strength and conditioning specialist. Now I could go on for days on why I am not a fan of Crossfit, but I will only discuss my top 2 issues with this fitness trend. My first and number one problem with Crossfit is that many of their “benchmark” workouts involve Olympic Lifts (power cleans, Snatches, and clean and jerks) for high repetitions. High reps has a time and place in fitness, but that place is not with Olympic Lifts. Olympic lifting takes a high level of skill and coordination and as the body and nervous system fatigues, that coordination needed decreases which can lead to an improper lift and then a higher risk of injury. My second biggest issue with Crossfit is the coaches. Now I am not saying all Crossfit coaches are bad coaches. A percentage of the coaches are former strength coaches or fitness professionals who have trained athletes or clients at high levels. But for every good coach, there are probably 2 or 3 bad coaches who paid the obscene fee that Crossfit charges(I won’t go into the money part of Crossfit) to become a Crossfit coach. Many of these “coaches” have just attended the 1 or 2 day class to become certified in Crossfit and that is the only training they have received. If I am going to pay someone to train me, I would like for them to have been trained or certified by a nationally recognized organization with strict, rigorous testing and continuous education required. Again I see both sides of the spectrum in terms of good and bad for Crossfit. I enjoyed my times that I spent in a Crossfit gym, but as a medical professional and strength and conditioning specialist, I think there are safer and more effective ways to become fit. Please feel free to share your thoughts; good, bad, or indifferent!